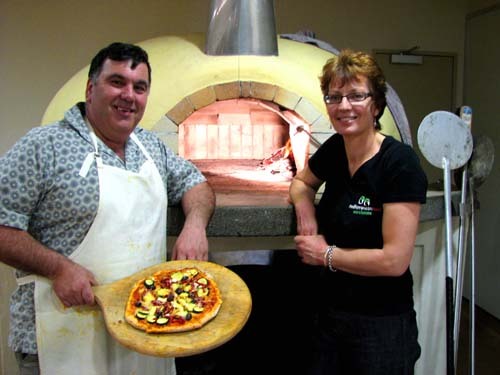 Clients wanted a 1500mm diameter wood-fired pizza oven for their about-to-be opened Italian restaurant. It was important that the oven could achieve the required capacity and performance in a busy restaurant environment. Unique Outdoor Spaces designed the base, benches and oven. Benches were constructed with polished concrete. The oven core was built with NZ-made firebricks with the exterior being plaster finished. Required capacity and performance was achieved and the restaurant is proving to be successful.